A super-sparkly sticker story with a truly magical setting! Come to the Little Kingdom, where enchantment is all around! Fairy Princess Holly is going to elf school with her best friend Ben Elf. Magic isn’t allowed at school, so Nanny Plum joins them to make sure Holly behaves. But will Nanny behave herself too? 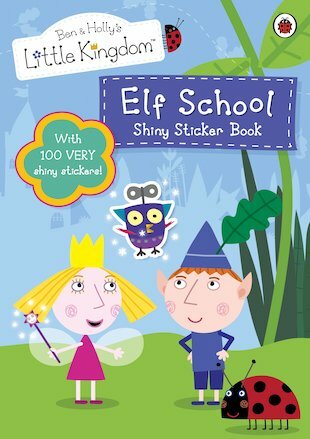 Read this charming tale to find out – and then use over 100 glittery stickers to complete the puzzles and games!